BBV Salon is the creation of Master Stylist and owner Veronica Nazzaro-Penzon. She exemplifies all the passion and commitment that separates her salon from so many others. Veronica Nazzaro-Penzonis an expert in hair design with an unmatched ability to create exquisite hair styles. 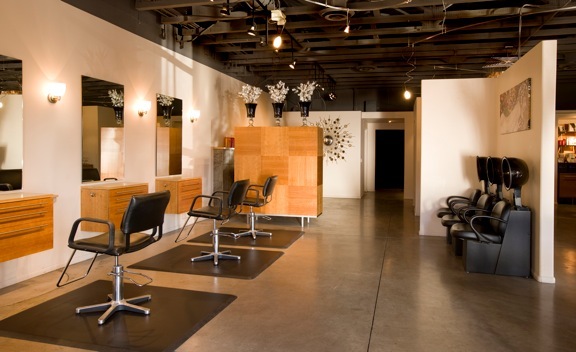 Located in the heart of Old Town Scottsdale, BBV Salon offers a relaxing full-service salon environment where you can come and rediscover your own true beauty. Client satisfaction is the priority for Veronica Nazzaro-Penzon. She has the ability to mix the desire of her client with her vast expertise to create the perfect new look that compliments their own unique natural beauty. Veronica Nazzaro-Penzon takes pride in insuring that their experience leaves them pampered, confident and beautiful. Veronica Nazzaro-Penzon has attended training in France, London, Italy along with participating in celebrity events from television to other media segments. This experience translates to the staff at BBV. With diverse experience, exceptional ability and fashion sense, all of the hair stylists provide the highest level of talent and professionalism in the Valley. Veronica Nazzaro-Penzon has taken her talents to television audiences for 20 years as a makeover expert, transforming women from basic to gorgeous during a live newscast. She is currently featured on Arizona Midday on KPNX channel 12, The Morning Show, on KSAZ channel 10, The Pat McMahon Show on AZTV7/Cable 13 and The Chat Room on AZTV7/Cable13.